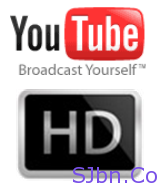 Today in this post I will tell you how you can search HD videos on YouTube. If you are search for some video on YouTube and want it in HD (High Definition) but when you will search normally it will show you videos of all quality and then it become difficult to search. So to search videos which are only available in HD after your search term add ,HD now you will only see videos which are also available in HD (720p or above). For e.g. : If you want to search for Windows 8 video in HD, go to YouTube.com, type “Windows 8 ,HD” and now in search result you will only see videos which are available in HD. If you have any question or problem let me know.